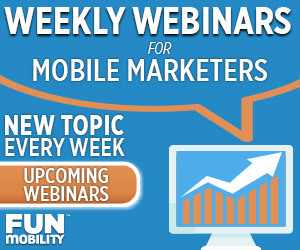 Those who don’t keep up with the latest mobile advertising trends are headed for extinction. A worldwide explosion of mobile ad budgets has sparked a dramatic evolution of technology, standards, and best practices. Consumers of all ages are using mobile devices to shop. The landscape has changed so extensively, even the fundamental goals the major industries are hoping to achieve with mobile ads have changed. Amidst the excitement of this seismic shift, there is a lot of hype—and there are a lot of empty promises. This report will bring you up to speed, providing a no-nonsense examination of the forces at work reshaping the world of mobile advertising. 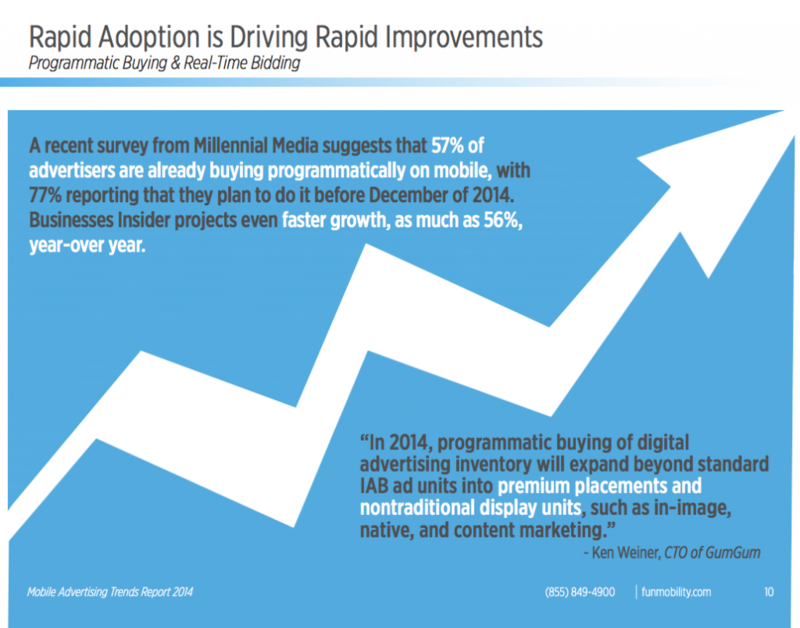 The selling and buying of mobile ad inventory is getting increasingly automated, with most projections claiming that 2014 will see major technological advances to programmatic buying and real time bidding. Advertisers are already leveraging programmatic for ever more clever and creative audience targeting strategies. This type of technology has grown so pervasive, in fact, I even theorized that one of the summer’s biggest movies was secretly about programmatic buying. 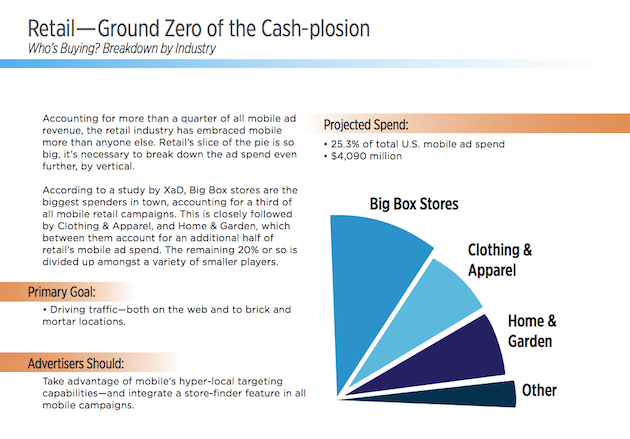 FunMobility’s Mobile Advertising Trends Report 2014 analyzes the current state of mobile programmatic buying, and how it effects you—with a special emphasis on separating fact from fiction. Static mobile banner ads are going the way of the dinosaur. Finally, advertisers are getting a chance to use mobile ads designed specifically for mobile devices, optimized for smaller screen sizes and leveraging mobile functionality like touch and tilt. Learn about the advantages of mobile rich media ads, see how native ads are redefining social advertising, find out how mobile video actually compares to other devices, and discover new standards like the IAB Mobile Rising Stars. In addition, find out how Mobile Engagement Ad Units can be customized to align with any marketing or advertising goal by delivering a versatile and engaging post-click experience.